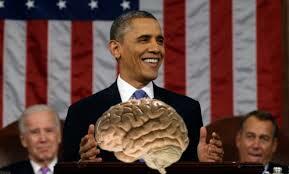 WHY DOES OBAMA WANT TO MAP OUR BRAINS? WHY does Obama want to map our brains? Why did he give $100 million dollars to a bunch of scientists just to study the human brain? Does Obama really want to help all the millions suffering from Alzheimer’s like he claims? Granted, better drugs would be welcomed to save those suffering from the many diseases of the brain, because let’s face it…a lot of depressive people are more dangerous to themselves after taking anti-depressives, than if the depressed person just had a good talk with his local pastor. But…since GOD has been taken out of the American equation of problem solving, that leaves millions of people no where to turn but to drugs, or alcohol. But—IF Obama really wanted to cure people suffering from Alzheimer’s he would have never passed Obamacare, where the old will be denied any form of medication or cure, so why did he do it? The answer is in the very beginning of this video. Pay attention. Notice, the baby girl is imitating every single thing that Alan Alda puts in front of her. You are witnessing the liberal dream of getting a hold of every conservative baby in order to teach them the importance of gender studies, global citizenship, sexual freedom, abortion, the wonders of Islam, and other wonderful liberal junk. You HAVE to get them before 3 or 4 for this to work. Don’t forget that Hillary Clinton wrote a whole book about this phenomenon of the state taking care of the babies early. She admired the French, who sometimes got the child right after birth. And Obama passed early childhood care without a whimper from the Republicans. This is the power plan of the Democrats. Get all the women into the work force, and the babies in the state incubators. But then what? You are always going to have free thinkers—rebels. Mother Nature demands it. And that’s where the drug companies can do their greatest work. 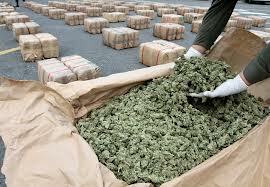 That a dictator could, if he so desired, make use of these drugs for political purposes is obvious. he could ensure himself against political unrest by changing the chemistry of his subjects brains and so making them content with their servile condition. He could use tranquillizers to calm the excite, stimulants to arouse the enthusiasm in the indifferent, hallucinates to distract the attention of the wretched from their miseries But how, it may be asked, will the dictator get his subjects to take the pills that will make them think, feel and behave in the ways he finds desirable? In all probability it will be enough to merely make them available. Under a dictatorship pharmacists would be instructed to change their tune with every change of circumstances. Remember, Aldous Huxley wrote this in 1958. Nobody Wonders if that’s why, our borders have never been shut. I have always said, and still say: the more stoned people in the country, the more many politicians like it. I could be paranoid. Maybe Obama just wants to find a way to take a drug so he can talk and think without the teleprompter, or a drug to calm down the representatives in the House. After all, if you can put camera’s in the Senate cloak room, you can put lithium in the water. It’s time we start demanding independent drug tests of all politicians. And you know, I will have more to say on this later.